What is a looper microphone? Beatboxing is very cool, but takes years to perfect. Acappella singing is beautiful, but you can't do harmonies on your own. With the Loopa you will be knocking out beatbox rhythms faster than ever before, and performing complete acappella songs before you know it. The Loopa makes it super-easy to record a loop and sing over it. This lays the foundations for a great performance. Beatboxers create complex rhythms by quickly making different sounds. This is hard to do, and takes a lot of practice. Using the Loopa you can record a simple beat and loop it. Then add more sounds on top of it. Very quickly you end up with a complex rhythm. As a beginner, it's a great way to start beatboxing. As an accomplished artist, it lets you expand your performance even further. So it's just a microphone and a looper? Adding a standard looper to an existing microphone would have been possible, but wrong. Every time Sonuus creates a world-first product we go beyond convention. Stretch boundaries. Everything has to work together in concert — the feel in your hand; the sound of the microphone; the integrity of the looping. 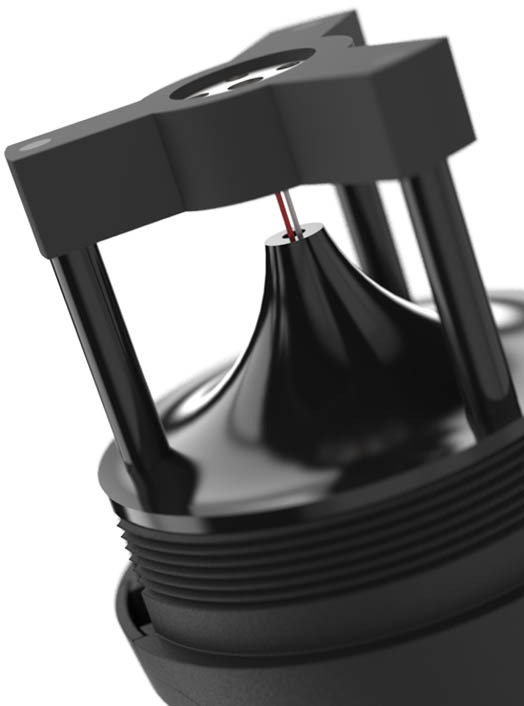 A condenser microphone capsule is used in the Loopa. It costs more than a dynamic capsule, but is physically more robust, captures transient signals more transparently and gives a more natural and articulate reproduction of your voice. Its cardioid (directional) response reduces feedback and rejects unwanted background sounds. A Sonuus-designed looper was the only option capable of meeting the reliability and functionality we demanded. All this comes together in a unique body-form that's well-balanced, tactile and beautiful. Loopa is a game changing product that will redefine what artists can do with the very first instrument, the human voice. That’s just the beginning. An advanced looper with multi-level undo and redo could easily be a difficult beast to control. But Sonuus has done what it does well — distill this down to elegantly simple, yet powerful, controls. Using only two buttons, everything is at your fingertips. In fact the central process of creating your first loop, then layering up overdubs is done using only one button. Everything feels natural so all you need to think about is the performance. 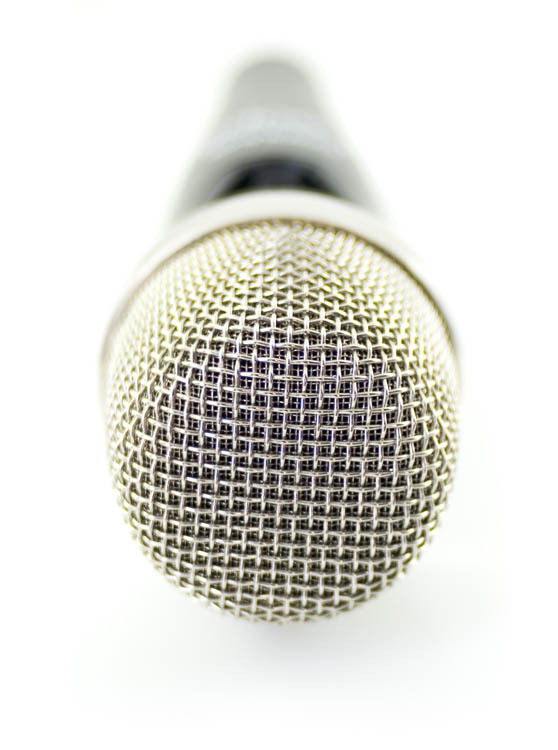 Like playing a fine musical instrument, how you hold a microphone, and how it presents itself to you, will critically affect your performance. Every curve and every surface of the Loopa has been sculpted to be both beautiful and functional. Perfectly-balanced, the Loopa's body has subtle forms that encourage it to nestle in your palm, leaving your fingers ideally positioned to operate the controls. Easier to hold — easier to perform. As your hand progresses upwards it rests smoothly on the light ring — an essential visual indication of looping status. Comfortable with enough resistance to be confident it won't slip. I’ve been like a kid getting a new toy for Christmas … really good sound and really innovative looping technology. Hobbit – Beatboxer, 2x UK Loopstation Champion, 3x UK Team Champion, UK Beatbox Championships judge. Every aspect of the Loopa has been designed and engineered for the best possible vocal looping experience. First and foremost is the sound of the microphone. It must be superb. From the precisely-shaped cone used to tailor the off-axis response, to the custom-designed shock-mounting to minimise handling noise, to the multi-layered windshield to guard against unwanted breath and wind noise. Meticulous details that make significant differences. During a live performance, failure is not an option. The Loopa works first time and every time. And will continue to serve you for years.